3 3/4″ handcuff key with pocket clip. All keys are made of heat treated steel with black oxide finish. Will fit most brands of cuffs including S&W®, Peerless®, and Hiatts®. 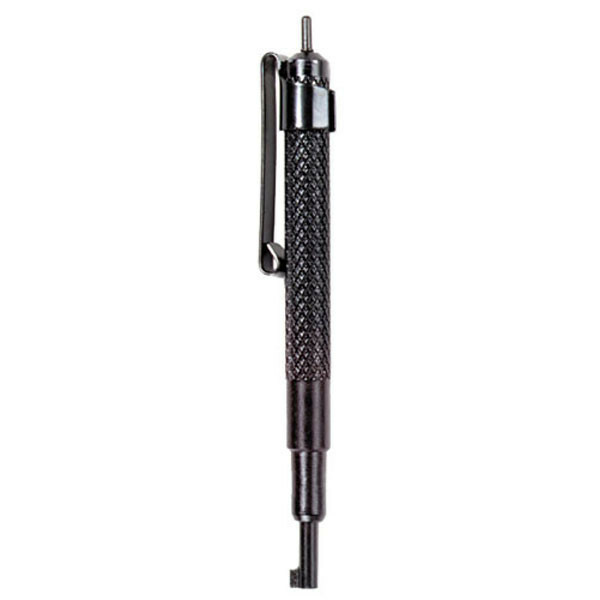 #814 can be used to tighten grip screws and open split key rings.